India to manufacture trainsets at its Integral Coach Factory in Chennai in the deal worth Rs. 600 crore. The first train to hit Lankan rails in September, all six to run from next year. 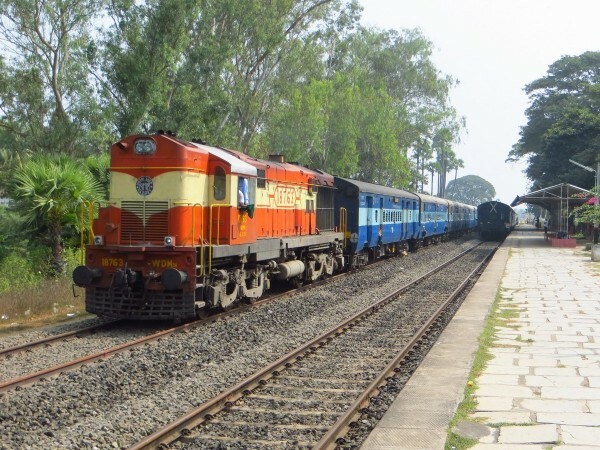 The Indian Railways is all set to establish its footprint in Sri Lanka with the export of six DMU (diesel multiple units) trainsets consisting of 78 modern coaches worth Rs 600 crore. The first DMU train set comprising 13 coaches will be shipped out to the island nation in September while the rest will follow by year-end, as per the delivery schedule finalised by the two countries. DMU trainsets do not require separate locomotives as the engines are incorporated into one or more of its coaches. All train sets would be equipped with state-of-the-art technology and manufactured at the Integral Coach Factory (ICF) in Chennai for which the order is a big boost in its export business. There will be three different type of coaches -- AC Executive Class, Second and Third Class -- and, as per the Sri Lankan requirement, they will only have seating facility. "The design of coaches is being finalised as per the customer's choice and ICF has fully geared up to meet the export order in time," a senior Railway Ministry official involved with the manufacturing process told IANS. The first rake shipment will take place in September after which it will be put on a trial run on the Sri Lankan rails. "There will be oscillation trial of the first rake which will be followed by shipment of five more rakes by the year-end or early next year," the official said. The contract will be funded under the Indian Line of Credit to Sri Lanka announced in 2011. In order to foster regional cooperation with these countries, the government has been extending various lines of credit for funding railway projects for export of Indian Railways-manufactured locomotives and rolling stock. ICF manufactured 2,500 coaches last year and has a target of 3,000 in the current fiscal.